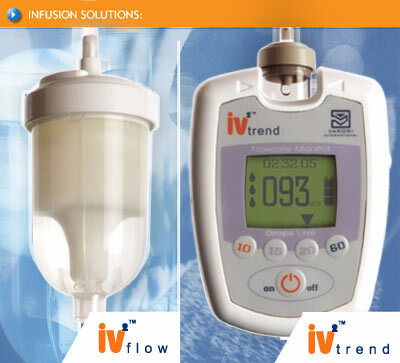 IV™flow maintains accuracy with a mean deviation of 5ml/hour compared to 30ml/hour where not incorporated. The IV™flow will be available for distribution from early September 2004. The IV™trend will be available for distribution from early September 2004. Welcome to the website of VARORI INTERNATIONAL (Pty) Ltd. Here we will inform you about our new globally patented technology that will change the face of medical infusion forever. VARORI INTERNATIONAL (Pty) Ltd is the sole global provider of the newly developed IV™ product range. Our unique product range focuses on the enhancement of the medical gravity intravenous infusion administration device (IV drip set). Varori International will provide you with a unique upgrade of components and associated products in the infusion industry, whether you are a distributor, manufacturer, procurement officer for hospitals, clinics or governmental organisations, clinician or an end-user of disposable infusion sets (IV sets). The future of gravity infusion technology is about to change and we invite you to be part of it. VARORI is proud to announce that the trademark for our range of products has been approved and will now be known as IV. This replaces all previous names used during the development of the products.